Meijer: 2 day sale starting Friday 26th! There is a 2 day sale starting this Friday 8/7! I will keep working on coupon match up's, so keep checking back! You can see the full ad here >>>Meijer 2 day ad<<< Just don't forget to change it to your local store! NOTE: Remember that Meijer does not allow coupons to be used on the free item's! 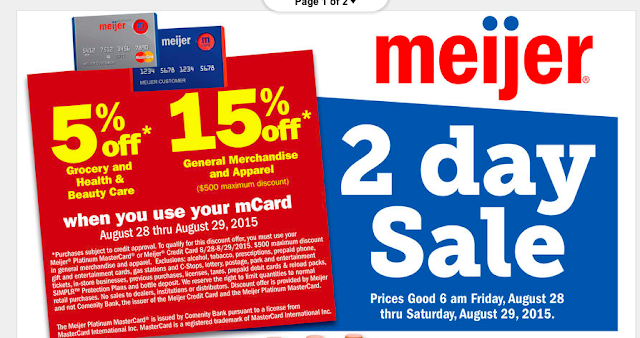 Keep an eye out for this $5 off $30 automotive Meijer coupon! These where by the front of the store for me!